J.R.R. Tolkien's The Lord of the Rings, The Hobbit and The Silmarillion are some of the greatest tales of good versus evil ever told. From the creation of Arda to the War of the Ring, Tolkien's Middle-earth has seen war and rebellion, devastation and loss, in which the powers of darkness emerged. Here in his latest book, best-selling author and Tolkien expert David Day explores Tolkien's portrayal of evil, and the sources that inspired his work: from myth, literature and history. J.R.R. Tolkien's The Lord of the Rings, The Hobbit and The Silmarillion are some of the greatest tales of good versus evil ever told. From the creation of Arda to the War of the Ring, Tolkien's Middle-earth has seen war and rebellion, devastation and loss, in which the powers of darkness emerged. 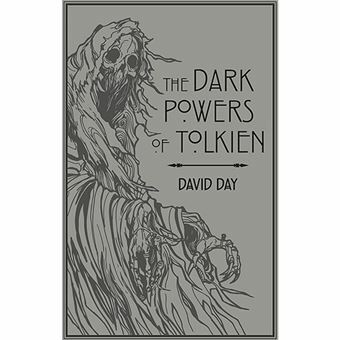 Here in his latest book, best-selling author and Tolkien expert David Day explores Tolkien's portrayal of evil, and the sources that inspired his work: from myth, literature and history.